Theron "Theo" Steele is a dancer with big dreams to inspire and heal! Theo grew up in St. Louis, praise dancing at his church starting at age 7. The next year, when he learned how to do the "wave" he knew that dance was his passion. In middle and high school, he continued to perform around St. Louis and at universities in Springfield, Missouri. During this time he discovered a love for choreography and teaching dance in addition to performing. Theo is proud to have been an alumnus annual choreographer for Normandy High School's dance concerts and theater productions since 2009. Theo has performed in Missouri and in the surrounding states and worked with artists Duane Martin Foster and Nicholas Gates. 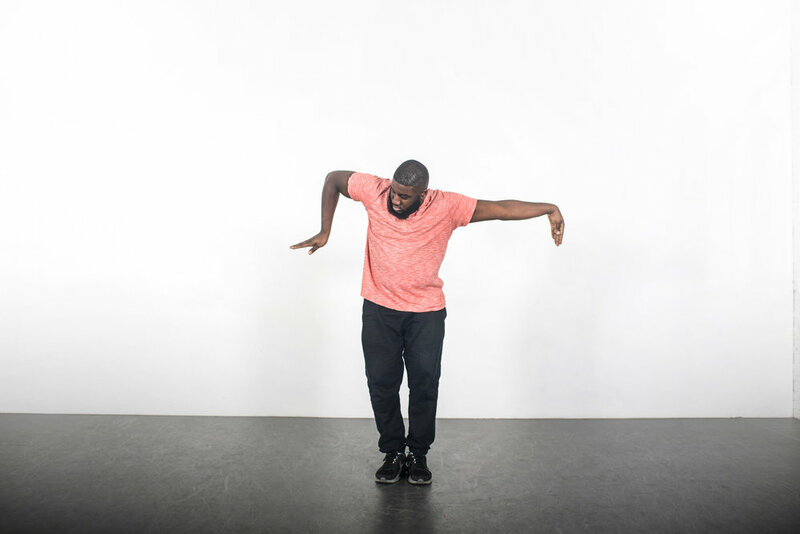 Theo prides himself on being a versatile dancer able to learn and perform many styles, although Hip Hop is his favorite, specifically, Animation, a style of Hip Hop that focuses on what the dancer is thinking. Animation brings concepts to life, allowing the dancer to portray an image of something other than what he or she is, like a robot. Theo has performed a contemporary piece I Have Seen Black Hands at the Touhill Performing Arts Center with the Black Rep. He was the debut dancer for Kid 'N Clays Light-Up Clothing and spent several years as a core member of the F.U.R.Y. Entertainment Crew, with occasional surprise appearances at runway shows as a model and dancer. Theo choreographed Human Glitch for the first teen talent showcase in St. Louis, now in its 7th year, and was awarded Most Innovative Choreography and numerous scholarships for his work. Theo has continued to practice his art with live performances at various venues throughout St. Louis and is now excited to bring his teaching skills to CKDC.